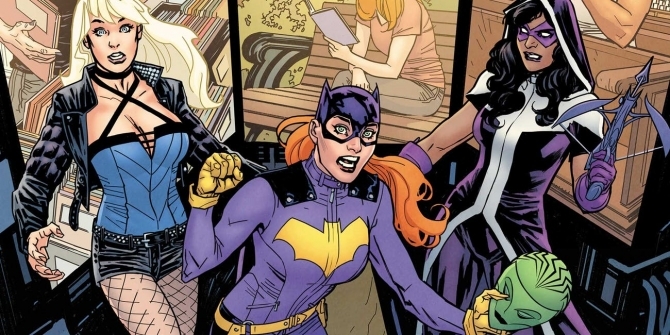 If you’re looking forward to the Birds of Prey film as much as we are, then the past few weeks have probably been pretty exciting for you. For one, the Cathy Yan-directed flick has finally been given a release date, while Mary Elizabeth Winstead and Jurnee Smollett-Bell were both confirmed as Huntress and Black Canary, respectively. There’s also the fact that Ewan McGregor could wind up stepping into the shoes of the villainous Black Mask. Honestly, Margot Robbie’s Harley Quinn is being given a great cast to work with here and the news just keeps on pouring in, as The Wrap reports that Warner Bros. has found their Renee Montoya tonight, with Rosie Perez snagging the role. Though not a household name, the actress has showed up in Do the Right Thing, The Road to El Dorado and White Men Can’t Jump, among other movies, and even has an Academy Award nomination under her belt. As fans will know, Montoya’s a Gotham City detective who often has run-ins with the Bat family in the comics and has taken on the mantel of The Question in the past. Here, she’ll be making her big screen debut and no doubt helping DC’s Birds of Prey as they find themselves on a collision course with the aforementioned Black Mask. He’s one of Gotham’s most formidable bad guys, of course, and a constant thorn in Bruce Wayne’s side, so we’re intrigued to see how Yan and her writing team – namely Bumblebee‘s Christina Hodson – whip things into shape. No word yet on if McGregor’s confirmed for the villainous role or not, and it seems that Cassandra Cain still needs to be cast, but rest assured that things are moving along quite nicely for Birds of Prey and as soon as we hear more, we’ll definitely let you know.